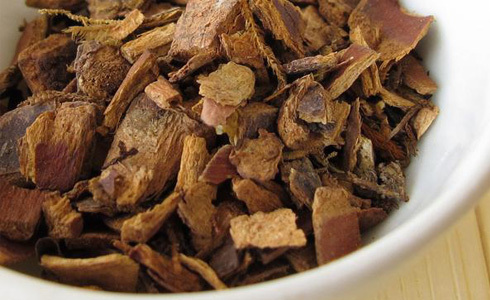 The bark of cascara contains phytochemicals called anthraquinones that stimulate the large intestine promoting movement of the bowel. These phytochemicals react with bacteria in the intestines causing muscle contractions that help move stool through the bowels. Detoxing the body is key to weight loss. Toxins enter the body from the environment, household products, stress, and more. These toxins are lipid soluble, meaning they are attracted to the lipids (or fats) in our cells where they stay for years and disrupt our daily functions. The good thing is that the body has ways to naturally eliminate these toxins through perspiration, urinating, and our bowels. This should give us all more reason to promote regular bowel movements. Cascara sagrada is the main ingredient in HealthTrim Cleanse — a vegan, non-fasting detox that gently and naturally eliminates toxins from the body. It is an all-natural, proprietary blend of herbs and botanicals formulated to provide gentle relief of occasional constipation. * It also promotes digestive health and weight loss and is one of the products in our Core 4 group of products that help set the stage for optimal wellness. What is the difference between HealthTrim Cleanse Liquid and Capsule? Both are similar formulations and will act the same way when taken as directed. Both products boast an impressive list of ingredients and share many in common. How is it taken? Every two months, HealthTrim Cleanse can be used in a 10-day cycle as needed for occasional constipation and elimination, unless you are under medical supervision. Take up to two servings a day for seven days. Starting on Day 4 and proceeding through Day 10, take Probiotic two servings twice daily on an empty stomach. You may choose to take HealthTrim Cleanse Capsule or Liquid or a half dose of both. Experimentation may help determine which product your body responds to the best. Each person may respond differently; therefore, be sure to monitor how you feel and work with your healthcare provider to adjust these recommendations as needed. Add exercise, a diet that includes more fiber and more water to your regimen while also reducing stress, and you’ll be on your way to regular. For longer, more persistent constipation, please consult your healthcare provider.